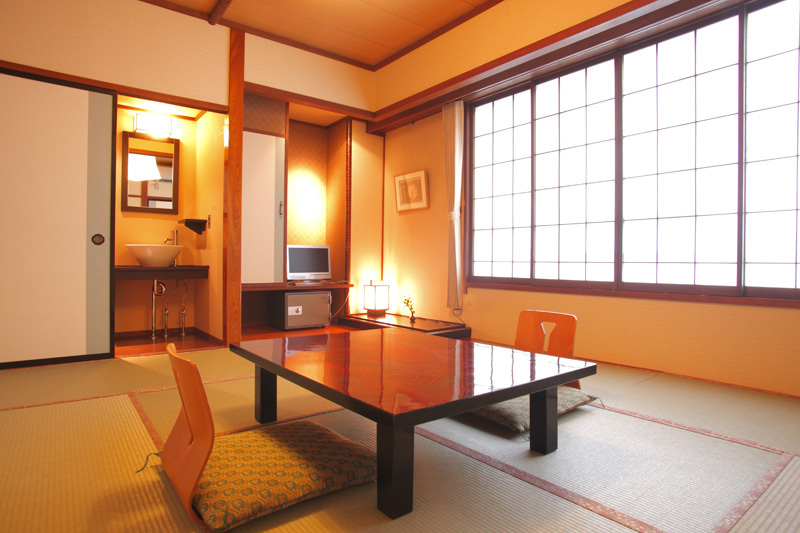 We ask that you relax to your heart’s content while surrounded by our tranquil and tasteful spaces, which have been maintained since the Edo period (1603-1868), about 320 years ago. 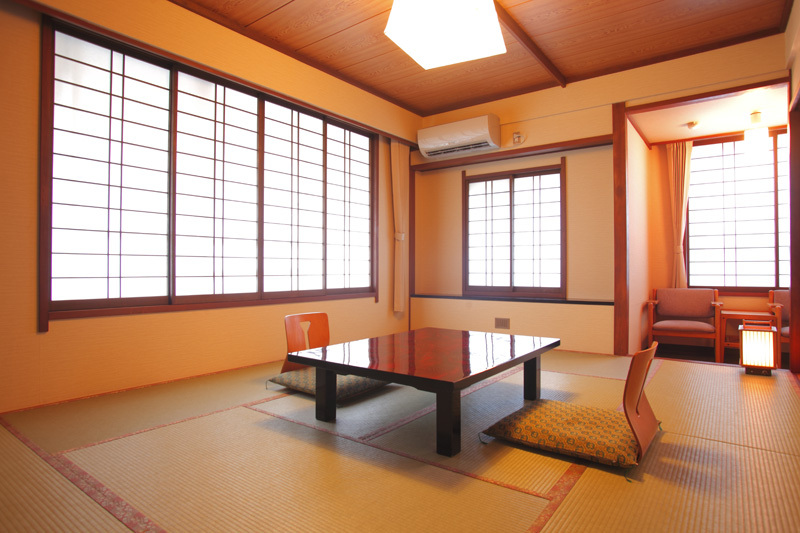 There are rooms that are pure Japanese style. These have a calm, laid-back ambience just like your home. Please make yourself at home as you feel time passing slowly by. 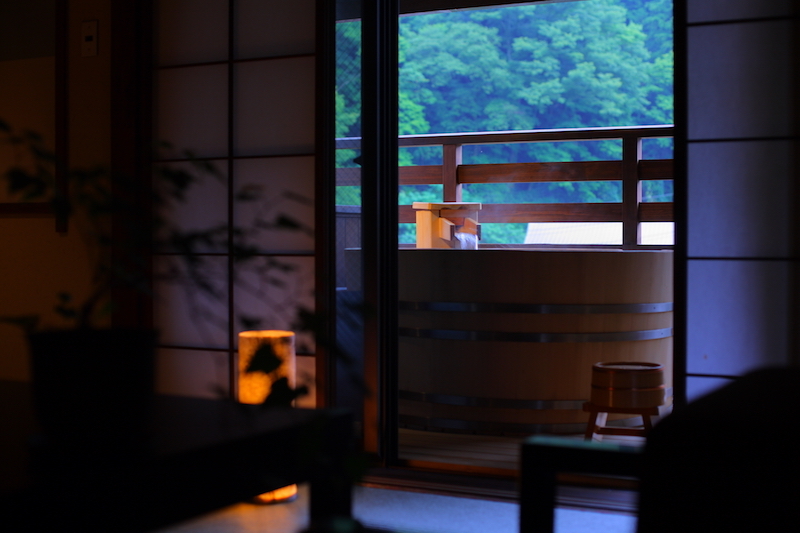 While stretching your legs in our relaxing bath, you can smell the faint aroma of the Hinoki cypress trees. 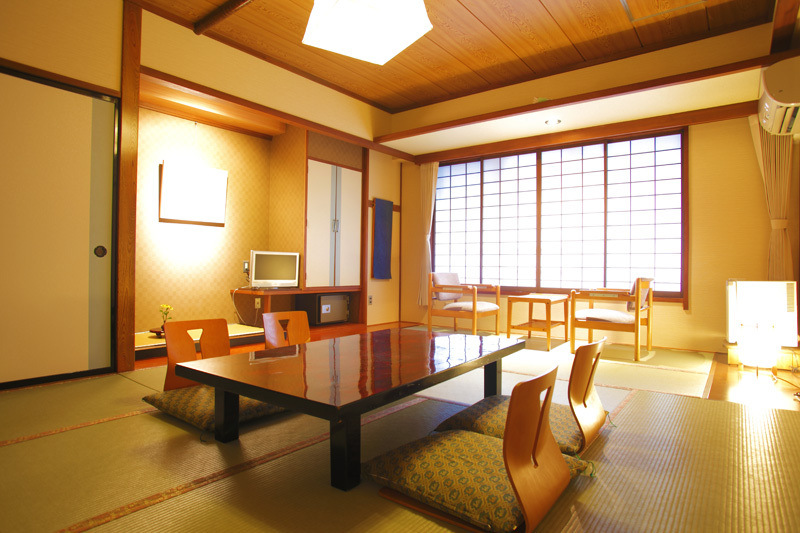 *We rent fashionable Yukata for women at the reception desk. 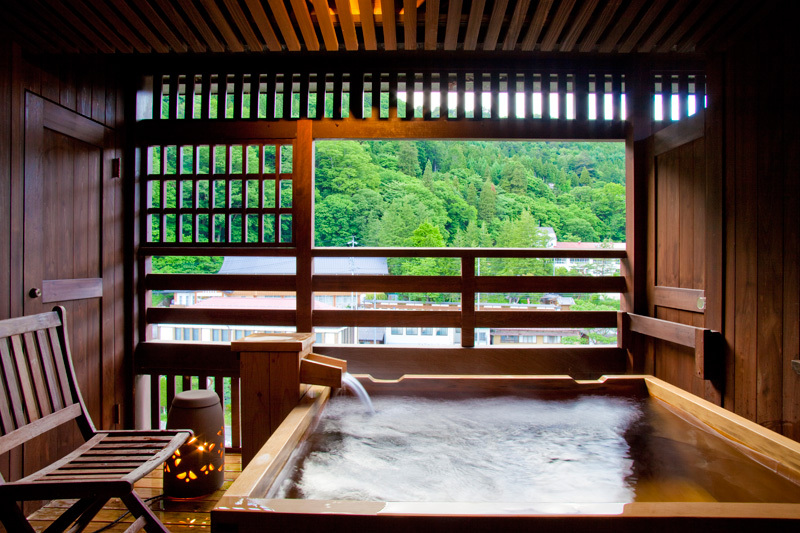 You can rent a Fashionable Japanese summer robe to wear while relaxing around the inn. We call these robes “Yukata”. Basic versions of these traditional robes are found in your room at no extra charge. The local cuisine “Kiso Ogottsuo” is cooked in front of our guests, so it’s always piping hot. Please enjoy as many of our chef’s recommended dishes and family-style dishes as you’d like. 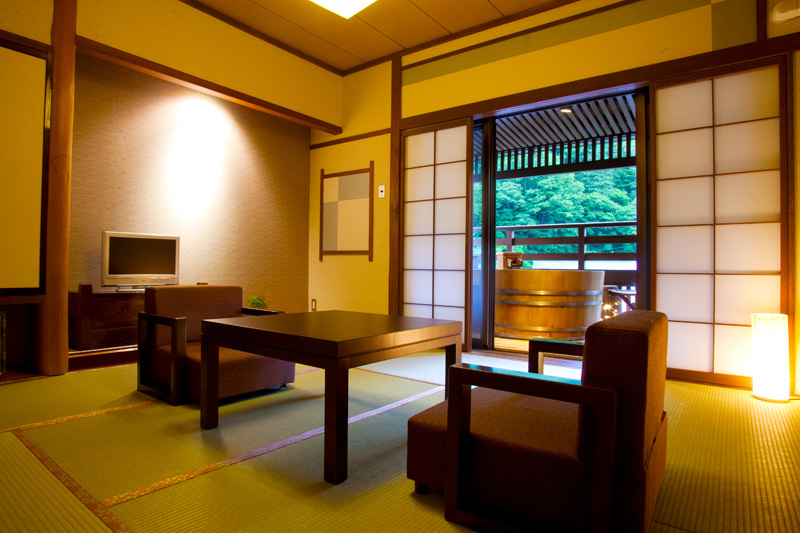 You can have breakfast and dinner in our traditional-style dining restaurant “Kiso Sachi-no-Kura”.